A primary focus of this book is to provide exercise scientists with the knowledge and skills needed to assess the physical fitness status of apparently healthy individuals, rather than individuals who have suspected or documented cardiovascular disease. This text is unique in its scope and in-depth content, organisation and approach to the subject matter and features laboratory techniques for the assessment of physical fitness components. The breadth of information presented makes this text an important resource for practitioners, especially those employed in health and fitness settings. 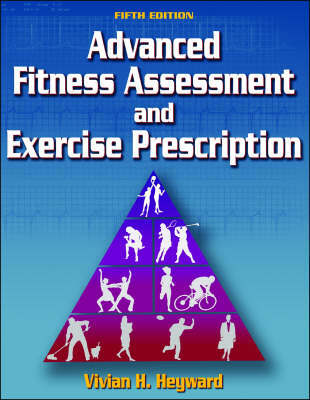 For each physical fitness component, a chapter on assessment is followed by a chapter on exercise prescription. This text uses a multi-disciplinary approach that synthesises concepts, principles and theories based on research in exercise physiology, kinesiology, measurement, psychology and nutrition. Pedagogical tools include key questions at the beginning of each chapter, as well as key points, review questions and a list of key terms in the back of the book. These learning aids are included to help identify key terms and concepts to test knowledge and understanding of the material in each chapter.